James Drinker is a bit of an oddball. A funny-looking, geeky loner, he walks into Jason Kolarich's office one day with a preemptive concern: two women have recently been murdered, seemingly by the same killer, and Drinker thinks he will be the police's main suspect. One woman was his ex-girlfriend, he says, and the other was a friend. He's the only link between the victims and he has no alibi for the night of either murder--surely the police will realize it soon. Believing he's the target of a frame-up, Drinker hires Kolarich for his defense. Something about James Drinker seems off from the start, but Kolarich doesn't give it too much thought. Until another murder occurs. And then another. And as he begins to probe his client's life and story more closely, it quickly becomes clear that nothing about James Drinker is what it seems . . . and that the target of the frame-up isn't Drinker, but Kolarich. Unable to stop a serial killer--and prove his own innocence--without breaking his sworn attorney-client privilege, Jason Kolarich must hunt for the truth about James Drinker, the series of brutal murders, and why he's been set up to take the fall. The answers will be beyond anything he could have imagined. 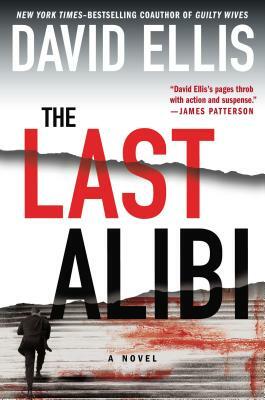 David Ellis is the author of ten thrillers, including most recently "The Wrong Man," and the forthcoming "Mistress," written with James Patterson. He is an attorney in Chicago who served as the House Prosecutor who tried and impeached Governor Rod Blagojevich before the Illinois Senate.